A muscular Infiniti for the Russian market. The Russians aren’t always the ones that are envied for getting special automobiles in the automotive world. There is, after all, an internet meme dedicated to the country. But this time, the Russians are the lucky ones when it comes to cars. Lorinser, the German Mercedes-Benz tuning specialists, have introduced a new Infiniti FX aesthetics program just for the Russian market. 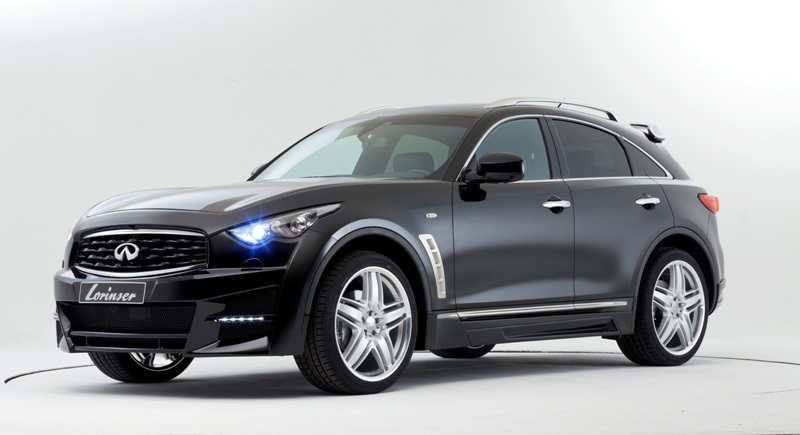 The new Lorinser Infiniti FX makes a bold deign statement. 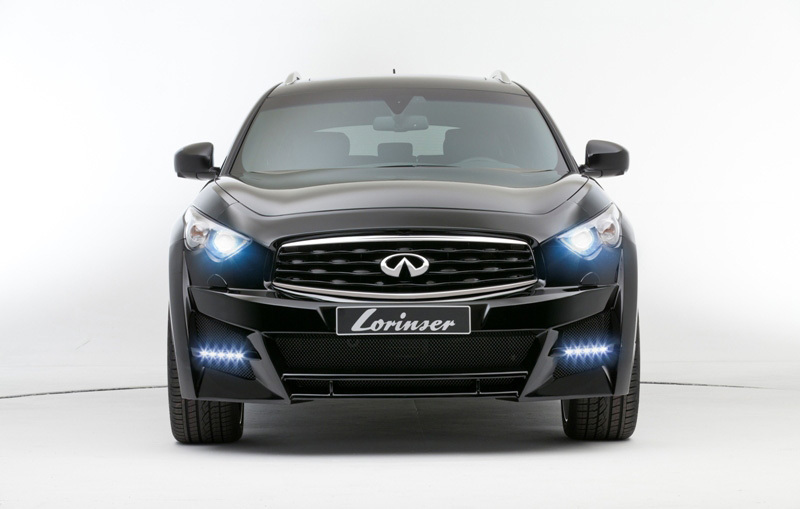 The wavy and curvaceous figure of the FX now wears a sculpted face and body upgrades. 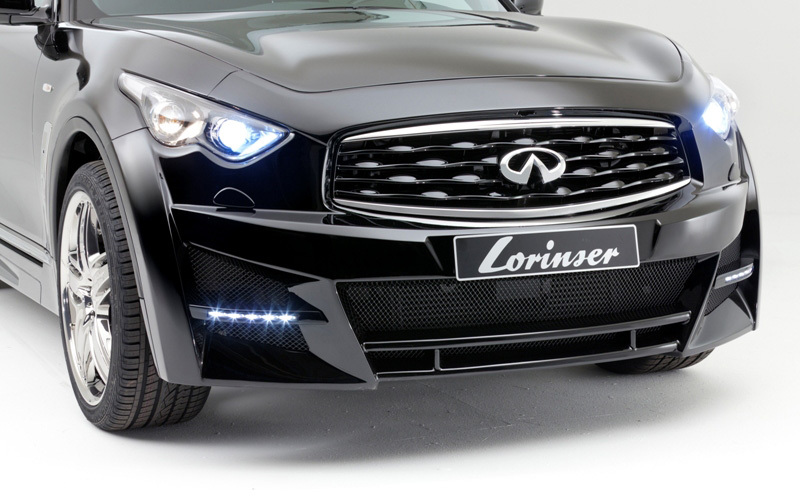 The front features the Lorinser apron with LED daytime running lights and stronger characteristics. 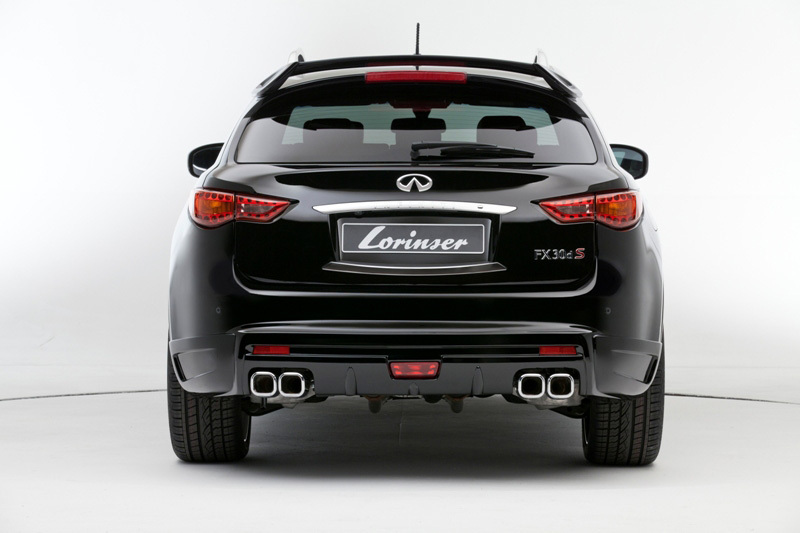 Between each set of fenders lie a set of form-fitting side skirts to calm the airflow around the wheel wells. 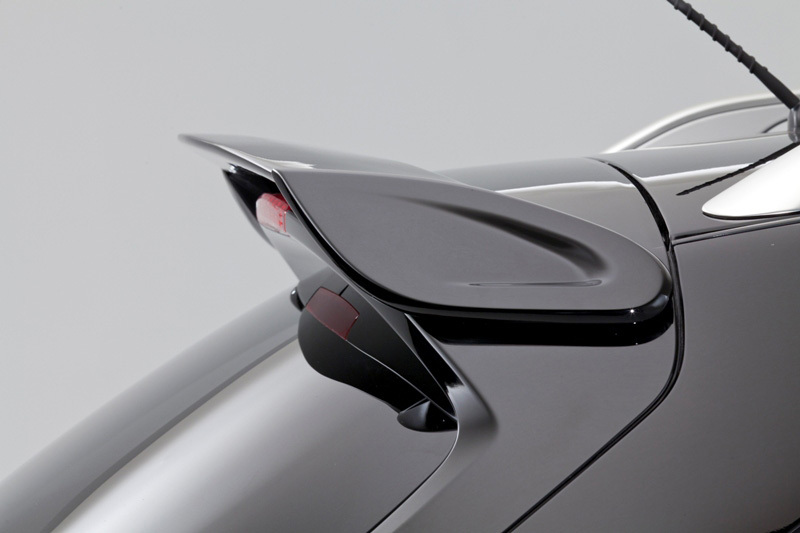 At the rear sits a large roof spoiler to increase downforce and a new apron with quad exhaust cutouts. 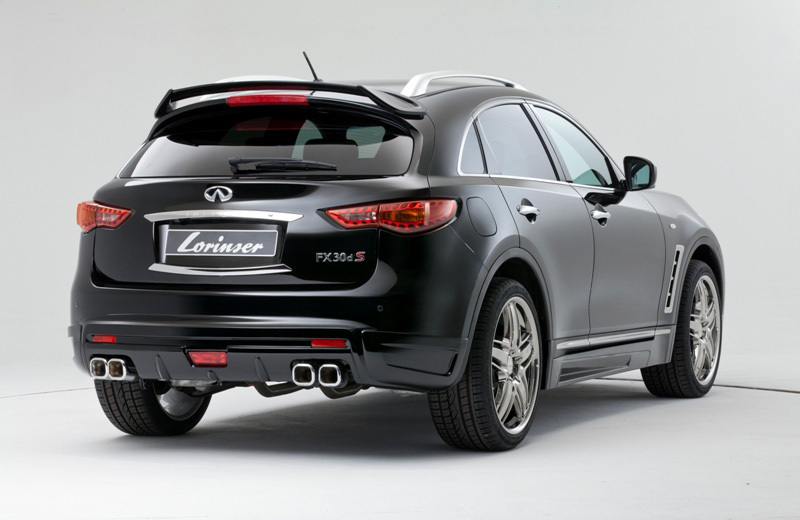 The Lorinser Infiniti FX exterior makeover also includes a set of lightweight wheels from the German tuner. Lorinser chose to install new five triple-spoke RS9 light alloy wheels in a 22-inch fitment with 285/35 R 22 Continental Cross Contact tires. Each wheel is precisely manufactured with the latest technology for high strength attributes. Inside, customers have the option to completely customize the Lorinser Infiniti FX with leather, wood, trims, and even personalized floor mats. 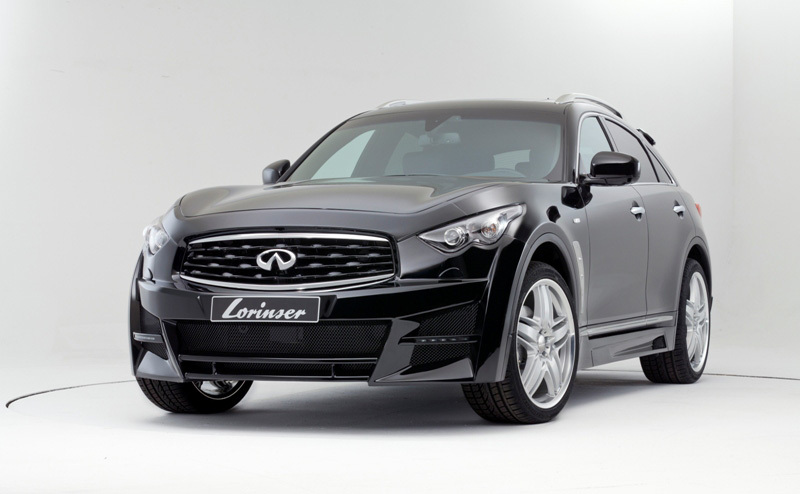 The Lorinser Infiniti FX is currently only available to the Russian market, although the German tuner is also open to expanding to other markets if there is demand. 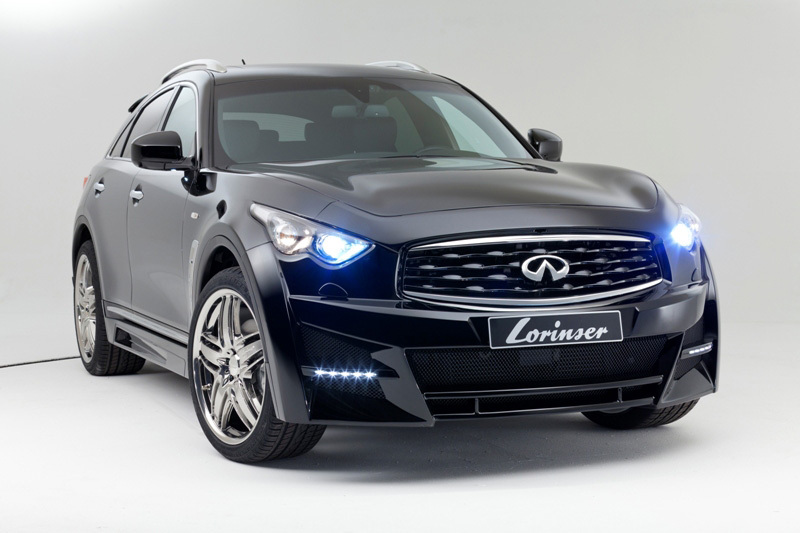 The entire program will be showcased at the 2011 Essen Motor Show. Pricing has not been released. 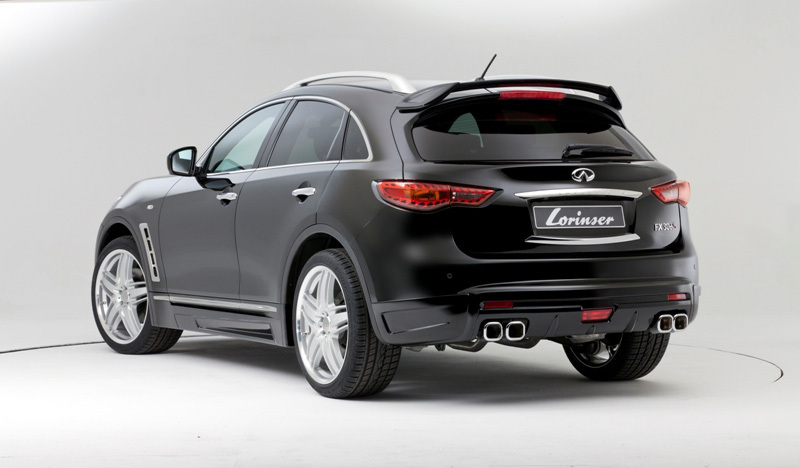 What do you think of the Lorinser body kit and wheels for the Infiniti FX? Leave a comment and let us know!